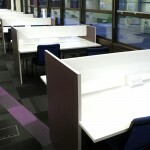 Manufactured and Installed Desks, in Library Reading Room. James Hardiman Library, NUIG Galway. 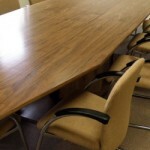 Design, manufacture and installation of office furniture and counter. Room C109, C110, Maths Department, Aras de Bruin, NUIG, Galway. Manufactured and installed main reception counter and offices, in James Hardiman Library.